Flushable wipes have become a multibillion dollar industry and while they meet the demands of consumers, they have created havoc for municipalities. Significant increases in maintenance call outs to unclog pumps, grinders, and sewers are the new reality for utilities across the country. The Deragger plus and pro are designed to help prevent these expensive maintenance callouts. 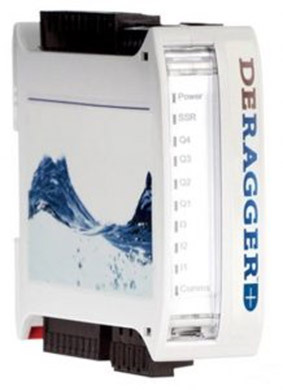 The Deragger technology develops a power signature of a clean, operating pump. Based upon any sign of the pump’s signature changing it will reverse the operation of the pump to remove the obstruction creating the change in signature. This power signature change recognition occurs before the amperage begins to spike signaling the pump is already clogged. The advantages of Deragger technology go beyond pump ragging protection and include a variety of additional features and benefits; Reduced Risk – Personnel will reduce exposure to pathogens and sharps by not having to remove rags and other objects from pumps. Energy Savings – By monitoring the pumps power signature, Deragger technology ensures the pump is always running at its best efficiency point. Ease of Implementation – Deragger units are small and install into existing or new panels, are quick to set up, and are compatible with most starters and VFD’s. You can learn more about Deragger technology by watching the video below, visiting their website at www.deragger.com, or contacting your local Pelton Environmental sales engineer.